Tokens have actively shaped culture and civilisation throughout history, beginning with their contribution to the invention of writing and abstract number in the ancient Near East. Discussions at the Tokens: Culture, Connections, Communities conference (University of Warwick 2017) suggest that tokens might act as external memory devices, as proof of relationships and obligations, embody intimate sentiments, establish and maintain social hierarchies, and create feelings of ‘inclusion’ and ‘seclusion’ in different communities. Tokens also possess a complex relationship with money, enabling the distribution of goods, services and benefactions without the existence of coins or notes, at times functioning as a type of alternative currency. Unlike money, however, many tokens appear to have been intended as single-use items, to be used in a single context, or to represent a single good or service. These characteristics suggest that tokens operated in a more complex way than the traditional definition of these objects as “something that serves to indicate a fact, event, object, feeling, etc”. The multiple uses of these objects continue to pose a challenge for research in this area. 2. how tokens (their material, legends, iconography and use) express and contribute to the identities of their makers and users. 14:30-15:00 François de Callataÿ (École pratique des hautes études, Paris): On the origin of ancient tokens studies: the count of Caylus in the mid eighteenth century. 15:00-15:30 Sebastiano Tusa (Soprintendenza del Mare, Palermo) & Massimiliano Marazzi (Università Suor Orsola Benincasa, Napoli): Tokens and counting devices in Bronze Age central Mediterranean. 15:30-16:00 Denise Demetriou (University of California, San Diego): Token diplomacy: authenticating embassies in the ancient Mediterranean. 16:30-17:00 Antonino Crisà (University of Warwick, Coventry): Deities, small communities and tokens in Hellenistic and Roman Sicily. 17:00-17:30 Mairi Gkikaki (University of Warwick, Coventry): Tokens and festivals in Athens from the late Classical age to the Herulian destruction. 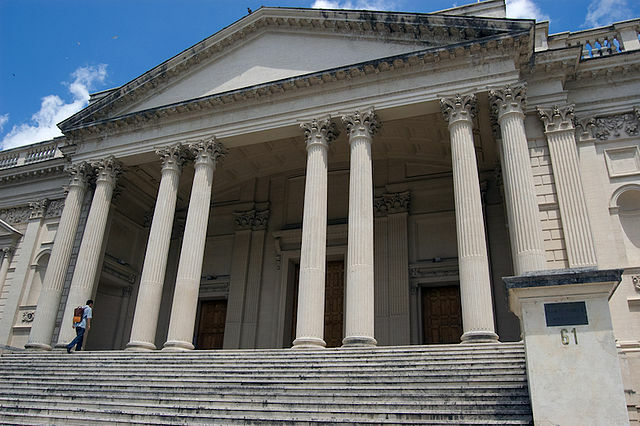 17:30-18:00 Maria Cristina Molinari (Musei Capitolini, Rome): Two Imperial portraits. Pewter tesserae of Claudius/Messalina and Nero from the temple of Hercules in Alba Fucens: new considerations on the use of official Imperial tokens. 09:00-09:30 Clare Rowan (University of Warwick, Coventry): Everyday expressions of being Ostian: tokens and local identity in the port of Rome. 09:30-10:00 Philip Kiernan (Kennsaw University, Georgia): Imitations as tokens and imitation images. 10:00-10:30 Peter Franz Mittag (Universität zu Köln): Roman medallions. 11:00-11:30 Rubina Raja (Aahrus University): Tackling the Palmyrene banqueting tesserae. 11:30-12:00 Denise Wilding (University of Warwick, Coventry): Tokens in Roman Gaul: deposition on sanctuary sites and use in the religious sphere. 12:00-12:30 Marie-Laure Le Brazidec (Centre National de la Recherche Scientifique, Paris): Proposal to identify a female deity on a series of lead tokens in Roman Gaul. 12:30-13:00 Gunnar Dumke (Martin Luther University Halle-Wittenberg): A ‘hoard’ of clay coins from Seleucia at the Tigris. 14:00-14:30 Yoav Farhi (Ben-Gurion University of the Negev, Be’er Sheva): An assemblage of unpublished Roman lead tesserae from Caesarea Maritimae. 14:30-15:00 Bill Dalzell (Classical Numismatic Group, Lancaster, Pennsylvania): Personal, public, and mercantile themes on unpublished lead tokens from a private collection. 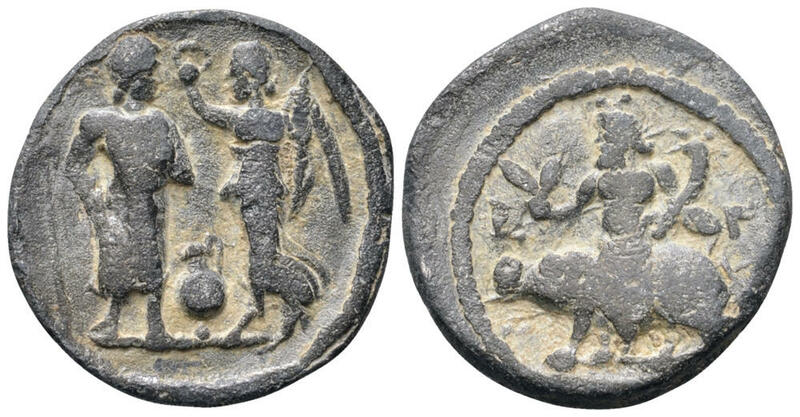 15:00-15:30 Cristian Mondello (University of Warwick, Coventry): Re-reading the so-called ‘Asina coins’: tokens and religious identities in Late Antiquity. 16:00-16:30 Arianna D’Ottone (Università di Roma La Sapienza): On Islamic tokens and jetons. 16:30-17:00 Andrea Saccocci (Università degli Studi di Udine): The so called ‘Lombard jettons’, a Medieval multi-tasking card? Click on the button below to download a full program and abstracts document. This workshop forms part of the Token Communities in the Ancient Mediterranean project, which has received funding from the European Research Council (ERC) under the European Union’s Horizon 2020 research and innovation program under grant agreement No 678042. For further information please contact Antonino ‘Nino’ Crisà (A.Crisa.1@warwick.ac.uk).